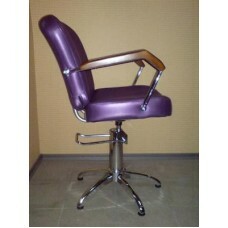 Hairdressing armchair КР025, buy at the price of 284 in Europe. 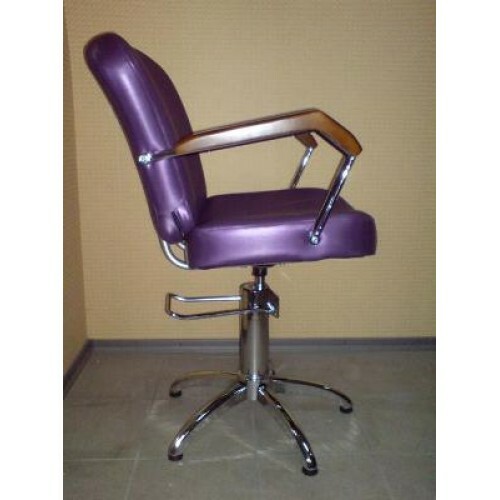 Practical and comfortable hairdressing armchair КР025 will decorate your room or a hair salon. It has all the necessary characteristics to be called the best in its class. The armchair was created in order to create comfort for clients and professionals. 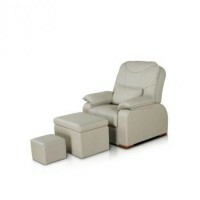 With an elegant and stylish design, this armchair will sure satisfy your customers. The base of the armchair is poured with chromed metal, which prevents damage. The soft surface of a seat is made of polyurethane and upholstered with high-quality leather, which has high operating capacity - it tolerates washing and cleaning, it does not lose its original form. Comfortable armrests are made of wood; the base is in the form of the cross. Height adjustment is carried out by means of hydraulic ram. 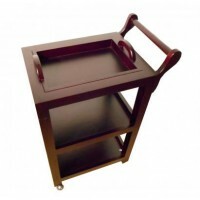 The backrest has the correct anatomical shape, which prevents rapid fatigue.